“What’s happened to you is rare,” my friend Mark told me in a conversation that persuaded me to quit my job and write full-time. That was it. The day I decided to become a writer. After that conversation, I gave my notice, found a nice corner in our house for a desk, and started writing. The rest, as they say, is history. In three years, I published four books, built a seven-figure business, and hired a team to work for me. More importantly than all of that, though, I found my calling. I discovered a deep satisfaction in the work I did and the people whose lives my work touched. And that, as Mark said, is rare. But it doesn’t have to be. Looking back years later, I realized none of it would have happened if it weren’t for my commitment to writing. Today, we hear a lot about the power of content. We hear how words can make you rich, how blogs can make you famous, and how writing can sell your products and services. All of those possibilities may be true, but rarely do we hear enough about the ways in which writing can enrich our lives. And that’s just what it’s done for me. Don’t get me wrong. This isn’t some Kumbaya crap. I love making a living off my writing and being able to support my family doing something that is a lot of fun. But the truth is, all the money in the world isn’t worth doing something you hate. Writing changed my life in every possible way. It awakened me to my purpose when I wasn’t sure I had one and helped me navigate the temptations of fame and success when they were most alluring. So, here are three benefits of writing that you may have overlooked and a practical step for each to help you become more of a professional in the work you do. I write to figure things out. And in that figuring out of things, I discover what I want to say. This is called your voice and it’s the greatest tool you will ever have as a writer. People get this wrong all the time. They think that your voice just magically appears one day. But it doesn’t work like that. Don’t wait for clarity to write. Write your way into clarity. I did this by starting a blog and using it to practice daily for an entire year. Each day, I woke up, wrote 500 words, published those words on my blog, and then continued on with the rest of my day. At first, it was awkward. But eventually, it became habitual. Even easy. That’s the power of daily practice. Over time, I even began to find my voice. When I started at the beginning of the year, my message was confusing and clunky. By the end, I was confident about what I had to say. The more I practiced, the better I got. And honing your craft should never be taken lightly. No matter what, write a little bit every day. Try starting with 500 words, using a free daily prompt like my500words.com. The goal is quantity, not quality. Quality comes with time. When I started that blog many years ago, I just wanted to share my ideas with the world. Of course, I hoped someone would listen. I think we all want that. But I had no idea who would hear my words or how. Soon, I started to understand that what I wrote wasn’t just for me. These words were meant for others too. As I practiced, people began showing up on the blog. At first, it was only a few people, but eventually many more. One weekend, I had more than 250,000 people visit my blog. Now millions of people read that blog every year. But can you imagine if I set out to reach all of those people — all at once — in the beginning? It would have been paralyzing. If you can make your work truly matter to a single person, you can make it matter to a million. I started writing for basically just myself. Maybe for one reader who needed what I had to offer. That’s it. No grand delusions of going viral or any of that nonsense. Just writing to help one real person. That’s all you can do. Practice in public. Use a blog or website to display your writing so that as you get better, people can see you improve. Grow your audience gradually. Everyone in the world is looking for one important thing: connection. We all want to be heard. We want to be noticed. We want to know that we matter and are cared for and that what we think counts for something. Originally, I thought writing was a form of self-expression. And it is. But it is also a wonderful way to help others. One way to help others is to first share how you’ve helped yourself. Hidden in your experience is an expertise other people need. Here’s a recent example. For years, people asked me how I became a writer and I didn’t have an explanation. So, I started writing down my experiences and interviewing others as well. I put everything I learned about discovering your vocation into a book called The Art of Work. That book became a bestseller. Why? Because I had some big, world-changing idea? Not at all. Because I listened. Writing gave me the ears and the empathy to hear my audience. I was able to listen to what they were struggling with and then help them. As you write, listen to the comments and questions people ask. You’ll likely find inspiration for your next creation. Of course, these are all non-monetary benefits. Or are they? I suppose you could also easily apply these same lessons and action steps to a business and use them to benefit the bottom line. Figure out what you want to say and turn that into a unique selling proposition. Practice in public and build an engaged audience who wants to hear what you have to say. Listen to your audience and then create products and services that meet the needs they’ve shared with you. And if you did that well, you might have both a successful business and something much more satisfying than just a job. You just might have found your calling. At least, that’s what writing did for me. You make some really good points here about writing as a profession and business, but too often we glaze over the fact that many talented people can’t afford to give notice and live off savings or other means for however long it takes until writing starts paying its way as a career. The notion is romantic but not practical for the vast majority of people, which is why fiction / writing as a career remains predominantly the domain of the well-educated, more affluent people within society. I don’t grudge your success at all, you’ve achieved something fantastic, but your friend is right – it’s rare, and articles like this often serve to highlight the vast chasm of opportunity that exists within the writing and publishing world. There are a million reasons that we cannot accomplish our goals. The most successful people in the world are those that ignore those reasons, focus on the reasons why THEY CAN. The truth is, at the end of the day, anyone can accomplish their goals. Some people are just too afraid to admit that…because then the responsibility is on them. As long as they focus on the unfairness of life, it’s not their fault that they have never accomplished anything. The only reasonable thing to do is to grab life by the horns and do as you wish. Only then will you be able to fulfill your potential. This is as much for myself as anyone else, by the way. Sara is right. The world, and this country in particular, doesn’t give everyone the same opportunities. Americans tend to believe in the “self-made man,” but no one makes themselves by themselves. Certain people do have it harder, and it’s not true that “anyone can accomplish their goals.” Find the documentary “Park Avenue,” for an example. I’m also pleased for Jeff that he made it, but Sara is right, there’s a vast chasm of opportunity. I’m not sure what you’re referring to. I spent two years chasing my dream of writing on the side. I worked on early in the morning and late at night. Following the content marketing process I learned here at Copyblogger, I built an audience around my writing and then turned it into a business. This is something anyone who wants to can do. Which is very different from quitting your job and living off savings. I had no savings. I built something on the side and when it replaced my income I “took the leap.” In actuality it was more like building a bridge. I’m not saying life is completely fair or that there aren’t certain unfair advantages in the world. But if you want to write for a living you can figure that out. Lots of great resources for how to do that right here on this site. Good luck to you! I agree about the self-made person thing. Nobody makes themselves. We all get help. But the opportunities to succeed at this sort of thing have never been better. So it may be true that some people have more opportunity than others, if you’re reading this, you can do this — probably not the same way I’ve done, but you can do it. You can build an audience through permission-based marketing, add so much value that audience wants to repay you, and make a living sharing your content with the world. We may all do this differently with varying results, but it is an opportunity available to the person willing to do the work. I truly believe that. Inspiring story about your choice of career. I couldn’t agree more that working at a job you hate is not worth any amount of money. 1. Write to think, which brings clarity to your mission. 2. Write to connect, which builds an audience. 3. Write to help, which develops empathy for others. That is what your post means for me. As someone just starting on the journey, I hope to experience these benefits and grow professionally. Thanks for sharing your insight on what dedicated writers can look forward to. I am still searching for my calling in life. Your post inspires me to keep looking. Your story is inspiring and Blake’s summary of your story is brilliant. You guys just made my day! Thank you, Jeff. Just what I needed to read and follow right now. Simple, straight-forward and motivating. I agree with you 100% that mastery of one’s craft comes through regular practise. When I first started writing, I was afraid of what others would think but after years of practise I have found clarity and am much more confident. Some really great lessons in here Jeff. It is always nice to read your inspirational articles. I am a regular visitor of Goins writer and I find it an amazing resource for young writers. I agree with you that writing gives you Clarity, audience, and Empathy. It has given me Patience. I found this post to be one of the best I’ve read on the reasons to write. I started following my passion as a freelance writer just a few short years ago. And while I’m not in a position to quit my day job (yet), I’m inspired by stories like yours to keep on pushing. I’m constantly surprised by how strong the “desire to do more” is, especially when I’m working harder now than I ever have. Thank you for sharing. I will definitely re-blog so others can benefit from your insight as well. I appreciate that Debbie. Thanks! Thanks for the really inspiring article. You made some thought-provoking points that apply not only to aspiring writers but to everyone desiring fufillment in life through work. I consider myself to be very fortunate to have discovered, just this year, that writing is one of my life’s calling. And as I tirelessly pursue after my calling as a writer, I am constantly inspired by stories like yours. Thanks for sharing your story with the world, and I can’t wait to be the next in line sharing mine. Happy to share. Glad you enjoyed it. Thanks for this beautiful and encouraging post, Jeff!! I’m aspiring to be a freelance writer too and I started my blog last year. I haven’t posted much however, partly I’ve been a perfectionist; but mostly, my long hours at work and the long commute. I tendered an extended notice to the company just last week and I hope to find a job that will give me more time. Thanks again! Inspiring stuff as ever Jeff! No 1 – Writing Gives You Clarity, was one that went by me initially until I realised I just felt better on the days and weeks I made time for writing. It doesn’t need to be lots of time but the world does seem a little clearer and brighter when you get some thoughts down. Yep. That’s honestly my favorite part of the process. These are great tips and so inspiring. I have a blog and I agree that writing definitely helps bring clarity to my thoughts. I really like your point about how we should write about how we’ve helped ourselves first. It really helps connect you to your audience in a big way. Thanks for sharing this! Honestly my favorite part of this blog is that you found your purpose! I think many people in life don’t find it because even when it is right in front of them, they don’t have the guts to take the chance or risk to go after it. I have been on both sides of that coin so I have to applaud you for going after a new path and staying focused enough to follow through with it! Thank you for sharing! Well said Matt. I think you’re right. I’m grateful I found mine. That was just what I needed to hear (read?) today. 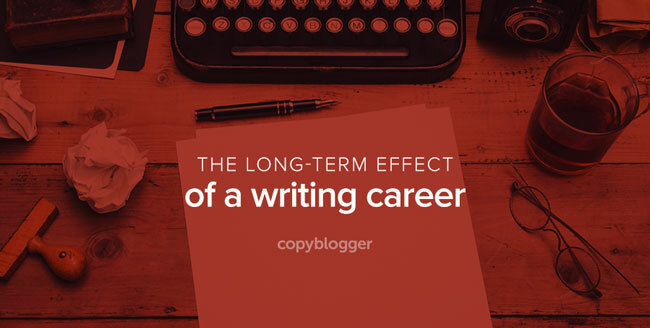 With so much emphasis on planning, marketing and otherwise monetizing writing, sometimes the premise of successfully writing for a living looks like a hopelessly complex equation. This approach provides a window of clarity that I think can help many new writers looking to find their footing or experienced writers looking to figure out what’s not quite working. Thanks for the insights and sharing. Jeff, happy to see you here. When you say, writing everyday is the thing, it reminds me of Seth Godin. Practicing daily is the single best thing one should do. Writing brings in clarity, inspires people and help ourselves grow in the process. Yep. Seth is the best. Thanks for this insight, Jeff. I’ve been diligently practicing, writing daily about 1,000 words a day (at least) for the past year. My hurdle is in publishing. So much of my writing is unfinished and then new ideas take over before I have a chance to finish what’s in process. I suppose the only way out of that is simply to get over it and publish what I write in any form, even if it’s half thoughts and unfinished. But I question whether that truly serves others. I get that. But it will make you better. And quality serves readers. Wow…such an amazingly written post! I completely agree, begin to write has been one of the best (if not THE best) decisions I’ve ever made. There’s simply something really fulfilling about writing what you have to say, giving it your own personality and publishing it your own for everyone to see. I’d like to also mention that I absolutely adore that quote by Robert McKee, it’s true that great writing comes from dedicating your content to that one person you relaly want to connect. What I’ve found works wonders for me is picturing like I’m telling my best friend about something that we both are interested in…Great writing seems to just fallout whenever I do that. You make some great points Jeff, good article. I absolutely agree that practice makes perfect and that you should just get in there and do it. I had never actually thought about the concept that your initial goal should be quantity and not quality, however the idea makes a lot of sense. Too many people end up stressing about getting those first few articles out when they should simply try to plow through them and improve with time. I also like the concept of writing with one person in mind and then finding a million. Thanks Mike. I hope you find your million! I can really resonate with all three of the points you made. I’m actually a freelance writer for hire now since I discovered my passion for writing. I love being able to put my voice out there, add value to people’s lives, connect to people and make a living. All from the words and sentences I string together. Thanks again for the post. It’s a really good read, and also motivates me to keep doing what I’m doing and to keep improving. Thanks for your insightful article:) For me, blogging through writing allows me to tell people the truth about my disability and how reasons for not reaching goals are simply excuses. Just do it! (thanks Nike;)) I found your comment about ‘listening to the feedback on what you write’ interesting. There’s definitely a fine line between writing what you want and having no readers and writing what readers want and struggling to write. I agree, Sandra. The way I see it, you write what inspires you and then see what resonates. As you do that, you find what connects with an audience and also fulfills you. It’s a both-and thing. Very inspiring stuff, as I try to figure out how to leave the job that I don’t like. LOL. My struggle has always been just continuing to believe that it can be done. You have definitely outlined the answers and laid out the process for becoming a full time writer. Thanks for the insight. I’m very glad to see your story about writing. It’s a great motivation for begginers. Thanks, Nick. I love sharing it. Hope it inspires you! Excellent post and I agree 100%, especially when it comes to writing giving you clarity. There have been so many times that I didn’t fully understand where I was going until I started blogging about certain topics, then at a certain point the path became clear. And the best thing is, the more you write the better you get. The reason people have success writing/blogging is because they love blogging and DON’T give up! If you have the idea that “Not everyone can be a successful writer” (which has some truth to it) rather than “I want to achieve my goals and will continue to pursue them”. Then you’ll find that you won’t achieve the results you want. Which is why I see being successful is a mindset, you have to keep chasing your goals. You have to know that you can achieve your goals in life if you keep going, even when it gets hard. This is the difference between successful people and people who give up! Passion is key, fulfill your dreams! I have found this statement to be so true. There’s something about the kinesthetics of pen to paper that activates my mental processes. I have found the same to be true about conversation. Both serve to prime the pump for the fully formed idea. Yep. Love that. So good and so simple. Hey Jeff,I considered writing to be boring and myself as a “hey-i-can-definitely-not-be-a-writer”. But reading articles of James Alutcher and hearing from Robin Sharma has set me going.Also,i have made a Pact to write 500 words everyday,no matter what,apart from building my coupon site. Thank you, Jeff. I started my blog this past October, and it’s interesting to see it evolve from being mostly about me and my experiences to becoming a platform that includes more of humanity and global ideas. I have many interests but never expected to be writing about the environment so much. It’s satisfying to watch this transformation, but it wouldn’t be happening if I hadn’t simply started writing. Although I’m taking a break for a couple of weeks to work on SEO and keywords, I normally publish one post a week and a news-link post on Saturday’s, which is so much fun. I love gathering up relevant content about environmental projects and other topics from around the world. And the authors of these projects enjoy seeing their work posted on my blog, even though I’m still small potatoes. So I know what you mean about connecting with others; it’s ultimately one of the most satisfying parts of the process. Thank you for such encouraging words.